This fall, stock up on pecans and apple cider. When the leaves change colors, our food preferences tend to gravitate toward fall favorites like apples and butternut squash soup. 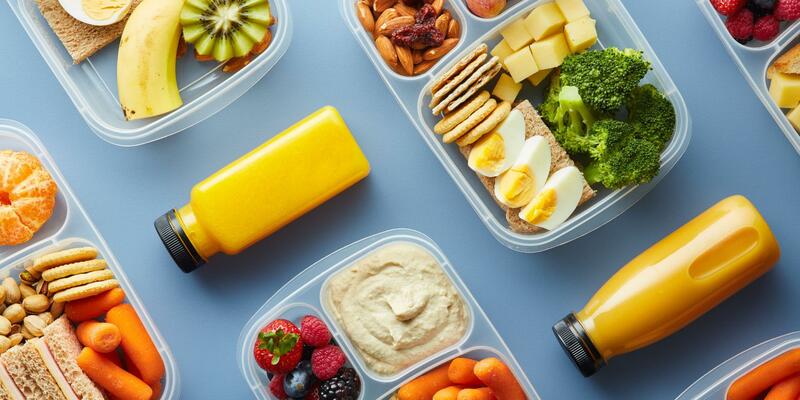 “It’s important to take advantage of seasonal foods to get peak flavor and nutritional value,” says Isabel Maples, a Virginia-based registered dietitian and spokesperson for the Academy of Nutrition and Dietetics. Here, she shares five of her favorite picks to shop for at your local farmer's market this month. The nutritional profiles of shelled green pepitas and whole white pumpkin seeds are almost identical: They’re both rich in zinc, fiber, iron, and healthy fats, says Maples. Researchers found that women who added pumpkin seeds to their diets significantly boosted their iron levels. This is noteworthy for pregnant women, in particular, says Maples, who points out that they have trouble keeping their iron levels up. Serving suggestion: Toss them into your morning yogurt, overnight oats, or grind them to coat chicken or fish. Hot or cold, the beverage is a fall staple. Research showsthat apple cider may protect against rising levels of LDL cholesterol and heart disease, and it could help your gut increase its number of good bacteria. Cider is made with whole apples (including the skin and seeds), which means it has more fiber than regular juice, says Maples. Unlike the latter, cider is cloudy because the sediments from the fruit remain, so it's also higher in antioxidants. Plus, the drink gets added health benefits from spices such as cinnamon, nutmeg, and ginger. Serving suggestion: Sip it on its own (look for a version without added sugar) or try it in a marinade. To make a DIY version, quarter apples, then place them in a pot and add water until the fruit is covered by two inches of liquid. Add desired spices and boil uncovered for an hour, then add the cover and simmer for an additional two hours. Once it's cooled, pour it through a sieve, then run that liquid through a cheesecloth. Alternatively, put chunks of raw apple in a food processor and blend until they're cut into small pieces with an applesauce-like consistency. Line a colander or sieve with cheesecloth, then place the raw apple mash in and the cider will drip out over time. Store in the fridge and use within a week. Eating the buttery-tasting nuts daily has been shown to help lower your LDL cholesterol levels and research from the USDA shows that they’re the most antioxidant-rich tree nut (beating out other favorites such as almonds and cashews). Plus, “pecans are packed with protein, magnesium, and potassium, and work in tandem with calcium to control blood pressure,” says Maples. Serving suggestion: Enjoy them on their own, in homemade granola, or sprinkled over salads and soup for added texture. This fruit is high in fiber, vitamins, and phytonutrients. In particular, it’s rich in anthocyanins, a type of antioxidant which helps the body create collagen to keep skin looking youthful. “If you’re craving something sweet, reach for this healthy choice,” suggests Maples. Serving suggestion: Use the berry to top yogurt and salads or add it to smoothies. This fungus is high in fiber, rich in antioxidants, and loaded with brain-boosting minerals such as selenium. The earthy-flavored food “can also lower the glycemic load of your meal, so that your blood sugar doesn’t spike,” notes Maples. Serving suggestion: Sautée them and add to salads and burgers. Or try mixing them in with other ground meat so you use less animal protein.